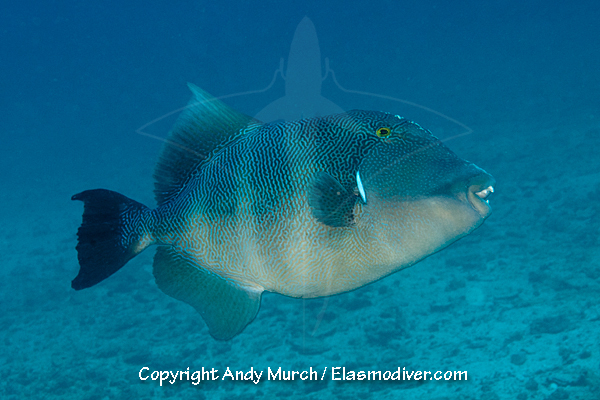 The Blunthead Triggerfish (Pseudobalistes naufragium) is a large triggerfish from the Sea of Cortez. It is easily recognizable by its large size, concave snout and by the 3 or 4 broad vertical bars on its sides. 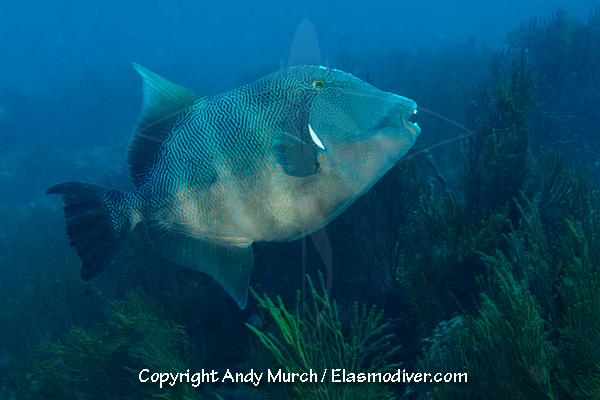 These Blunthead Triggerfish pictures are available for commercial licensing. For further information regarding usage please e-mail Elasmodiver. All of the images on elasmodiver.com are copyright protected. No unauthorized use of these Blunthead Triggerfish pictures is permitted. Please contact Elasmodiver for further information.